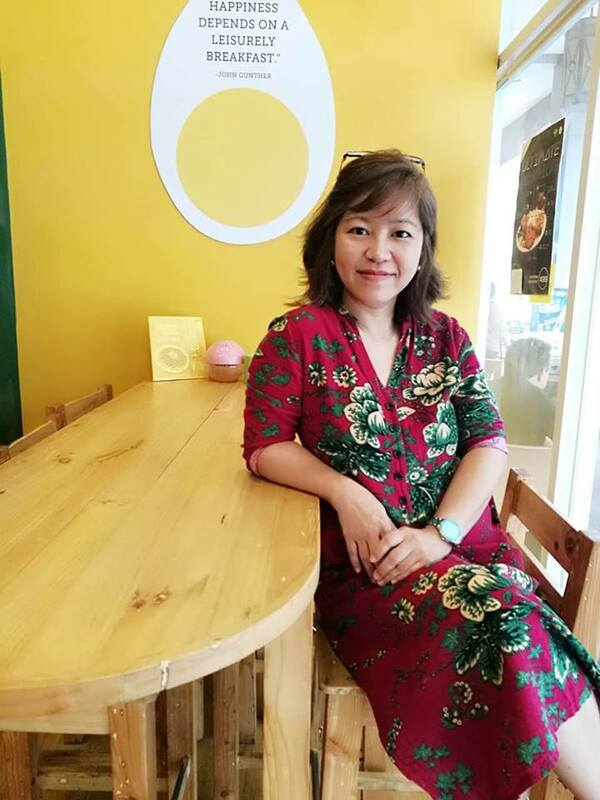 Organized by Millennial Moms PH in close coordination with Ogalala World, the workshop was held at the latter’s shop in Shangri-la Mall, Mandaluyong. 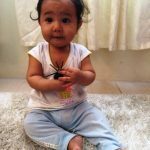 The concept of the Ogalala System in Play is to introduce to our little darling some play or educational toys tested to help develop the physical, intellectual, social, and emotional skills of a child. 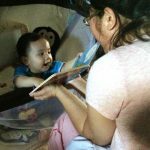 At the same time, the system will help parents bond with their children.The workshop was scheduled twice, one Saturday for toddlers (two to three years old) and another for infants (zero to one-year-old). We attended the second Saturday with my then eight-month-old son. At the end of the class, we were given a chart where we will record and monitor our kid’s improvement. There are six exercises divided into morning and afternoon so as not to exhaust the child. The instruction is just simple. We will do each activity with our baby for a month and we will just tick each box corresponding the day when done. We religiously followed the chart for a month. 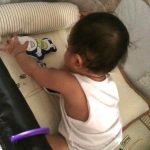 My three other boys helped me with each activity especially when I was busy with food preparation or other household errands. I may say that after a month, my now nearly ten-month-old son has developed his listening skills and focus. He can now differentiate his toys and even developed certain favoritism. His eye-hand coordination likewise improved and the funniest thing is he learned of the cause-effect concept. He loves to drop his bib, for instance, because he knows that the effect of that would be his mother picking up the bib. Our battered Ogalala Time chart. 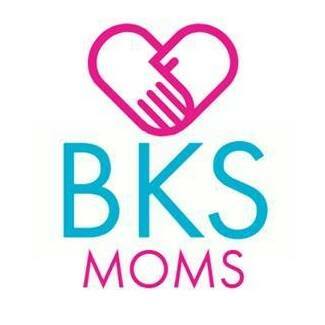 Will I recommend this activity to fellow moms? Definitely! We did not buy any toy from Ogalala World. Though I would love to buy a few pieces, the kuripot in me chose to just make use of the few resources we have at home. After all, kids can still learn even when using the most inexpensive and simple things. One only need imagination and time. Thank you. I believe all moms only want the best for their kids so they shower them with love, time, and anything if with extra resources. The Ogalala Workshop sounds great. I wish they would held a workshop here in Cavite. All my three daughters love playing with someone instead of toys. You can’t just leave them with a toy. They enjoy playing with me. I am not complaining though. It is something that i really love doing. 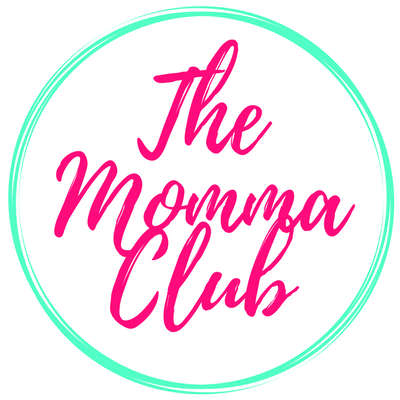 I joined the Millenial Moms PH group too. I bet it is a very informative group and I definitely want in. 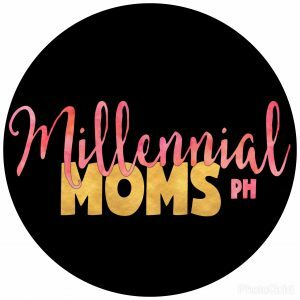 Surely Millennial Moms ph has something for moms within the south, too. Lets wait for more collaborations and activities. 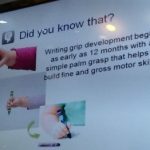 The workshop seems like a must especially for more hands-on moms. I agree that simple toys will do. I once read that toys with minimal details, such as building blocks, are best for the kids to develop their imagination and creativity. 🙂 Anyway, Ogalala seems like a good brand. I’ll remember the name for when I buy gifts for my nephews and nieces. 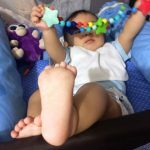 Yes, and you could as well ask your baby’s babysitter to play with your baby with those simple toys to easily facilitate the baby’s learning. I have so much admiration for your parenting skills; that you attend workshops and proactively involve yourself in the development of your children. Thank you for the kind words. We do not have much money to enroll the boys to workshops thus as much as possible if there are free ones or with minimal payment, i grab the opportunity. And yes, i would always support my boys from infant to toddler and even when they are grown up already. Its the only commitment i could give them. A perfect time for me to read this post. My little one turned a year old less than a week ago. 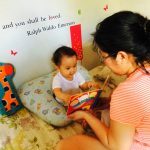 I am lucky to live in a country which allows for a good maternity leave where a new mom can have the time for their child and really enjoy it and watch them meet milestones as the learn and grow. Hello to the little angel. Surely you enjoyed your maternity leave. It is really fun to play with the kids. Ihihi. That is so awesome. My oldest had a learning disability so we had to work with her at home and many of the activities were game oriented and we all really enjoyed it. So great to get them this at an early age. Hello to your darling. 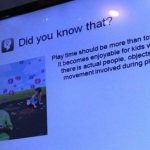 Yes, it is advisable to let them be involved in many activities at a tender age so they would easily pick up the learnings. Sounds great, I am not sure if something similar happens in my country though. 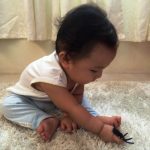 When I do have kids, I will have so much to learn from your blog. Keep it up! Thank you. You will surely be a great mom. That sounds great! 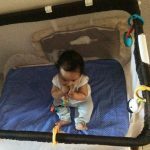 Babies develop so quickly that it’s important to try different activities with them often as they grow. I’m glad to hear that your son made so much progress. But of course I’m sure you will be clever and figure out how to replicate some of the toys and experiences on your own. 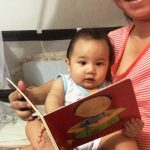 Yes, babies learn quickly. Just the other day, I taught him how to kiss and he has been doing it for hours already and Iam just so proud and happy. Seems effective and a good way to measure your kid’s learning capability. 🙂 as long as he enjoys it and develop certain skills, why not try by other mums too? Yes, he enjoys the bonding too as well plus the colors he sees and words he hears. Sweet babies. Yes they grow up so fast. It’s said so many times but it’s so true. 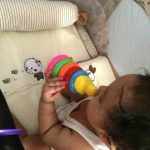 I had my daughter fo 4 months and I enjoyed all the time only. Enjoy every second you see them growing up. It’s a blessing! I got intrigued of the word Ogalala. Lol! I’m glad that you were able to attend the workshop and applied it to Yael. 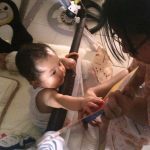 For long time moms like us, we still need workshops like these especially when you still have a little one. Educating ourselves with new approaches should still be a continued process. Good thing that your older boys are very good Kuyas and that they are able to help you out. Yes, i agree that though we have big kids na, its wiser to try new things and embrace technology and new approaches. Though i have three boys prior Yael, i never consider myself as an expert mom. Honestly, ive discovered and learned a lot now than on my first three pregnancies. Teacher Maia rocks! She’s good at what she do, oh let’s not talk about the credentials! Yey, love Teacher Maia, too. Real patient and beautiful pa. And yup, super battered Ogalala chart. Ihihi. Hahaha. Whenever we are at a baby store, i would also want to buy as much educational toys as i can. Even this mom plays. Ihihi. We attended Ogalala’s workshops twice. However, I never got to religiously follow their charts. I think, now that I’ve been a mom for almost 15 years, I know I don’t need to be that OC when tracking my kids’ growth and development. 🙂 My kids are all doing great. But Ogalala’s methods make sense. Might be more helpful to more newbie moms though. Wasnt able to apply that as well to my grown up boys, only to our new baby. Really curious with the outcome thus religiously follow the chart. I saw development as well. Oooh interesting I will check their site out mga baka I can do it for Bunny. 🙂 Looks very fun and informmative. I had heard of Ogalala when my son was still around 2 years old. I love the concept, but like you, umandar rin pagka-kuripot ko haha. Love your wall art! I think I need this for the focus of my twins. And its a good thing being resourceful ha, kasi mas tipid hehehe. Ang cute mu talaga Yael! Thank you from Yael and his mama. Yes, we need to be resourceful and wise din sa pagbili ng toys or anything. Haha. Nice seeing you as well. Your two boys are so cute (pwera usog). Sarap na nila kalaro siguro. Wow! I would love to attend this workshop, this will be a great guide for first time mom like me. 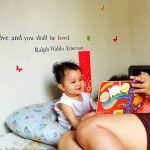 I’d love my little one to play with educational toys as wel and I’m happy that my baby loves books too. By the way, I love the wall stickers, where did you bought it? Got them from Japan surplus. 🙂 and yes, Ogalala is ideal for first time moms. They have a shop at shangrila mall in Mandaluyong. Thanks! Might check on Ogalala 🙂 and thanks for sharing! 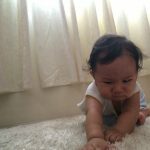 Ang cute ng baby mo Berlin! I would love to try and attend the Ogalala owrkshop for my Twinkle. Ah so that’s the Ogalala all about. I hope there is next session for toddlers since I want to join with Cloud this time. Check Millennial Moms PH. They might have another session as Ogalala, I guess, is a partner. This is nice. So many activities and workshops for parents. Very helpful.